Former IBM CEO Lou Gerstner, who turned around the company’s flagging fortunes in the 1990s, famously titled his memoir Who Says Elephants Can’t Dance?. 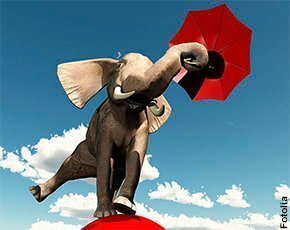 With last week’s announcement that the company is spending $1.2bn to create a global network of public cloud datacentres, this elephant clearly hopes to dance again. The bulk of the investment will be used to build 15 new facilities across the globe, taking IBM’s total number of datacentres to 40 and giving the company a local cloud presence in every major geography and financial centre on the planet, including London, China, Washington DC, Hong Kong, Japan, India, Canada, Mexico City and Dallas, with further expansion into Africa and the Middle East planned for 2015. As its hardware business continues to struggle, IBM is setting its sights on capturing $7bn of the burgeoning public cloud market by 2015. To do so it is pinning its hopes on SoftLayer, the nimble cloud services provider it acquired last year for $2bn. Nearly all of its new datacentres will be based on SoftLayer’s infrastructure as a service (IaaS) technology. While IBM will continue to sweat the investment in its SmartCloud environment for the time being, the writing is clearly on the wall for its former flagship cloud platform. But will the bet pay off? It depends on whether the company can manage its planned cloud expansion without damaging the agility that attracted it to SoftLayer in the first place. After all, you can’t make an elephant dance just by sticking it in a sparkly tutu. “The risk is that the company decides to meddle in the successful SoftLayer operations model or drapes it in endless skinny-tie bureaucracy. If this fails, IBM will find itself right where it is today, less $1.2bn,” said Brooks. To date, it has managed the transition without too much meddling. It hasn’t scared off the customers it inherited from SoftLayer. Indeed, the company has been keen to highlight that it is now winning new business from such hip companies as UK-based Multiplay, the world’s largest online gaming platform. “We normally think of IBM customers as being very ‘business-to-business’, but with half a million online gamers using the Multiplay system we’re moving into a new dimension,” IBM’s UK cloud leader Doug Clark told Computer Weekly. But attracting its more traditional customers onto the platform will be key, according to Quocirca’s Longbottom. “The trick now for IBM is in how to get its flagship customers to move towards a hybrid approach, and then to guide them towards a pure, on-demand cloud platform. It can then start to bring more of these customers' suppliers and customers onto the same platforms for performance and integration reasons,” he says. IDC research director Mette Ahorlu believes the establishment of local cloud datacentres is an important move, particularly in Europe where regulations and customer concerns about storing and processing data abroad are most prevalent. “If you look at the other global public cloud providers such as AWS, Google and Microsoft, their European datacentres are typically in Ireland or in the Netherlands, which with the upcoming EU data privacy legislation will be fine, but it is not good enough. So this will give IBM an advantage in these markets,” she said. But Ahorlu adds that IBM’s cloud success is by no means guaranteed – the company must demonstrate it can overcome all the standard customer concerns with public cloud such as reliability, security and interoperability. “Bear in mind we also haven't seen any new pricing from IBM. Its clouds are typically not very cheap,” she said. In this IBM supplier profile you will find a special nine-page report from Computer Weekly analysing the challenges facing IBM, along with figures about its financial performance, the services it offers, its place in the market and what the future may hold for the supplier. You will also find further IBM resources and whitepapers from TechTarget’s research library. IBM also faces stiff competition in the cloud business from AWS, Google, Microsoft, HP and the rest, but with the market growing at 30% a year and predicted to be worth around $200bn by 2015, there should be plenty to go around. “It is not the speediest mover around, and a large proportion of its customers tend to be at the more conservative end of the spectrum. However, as they see what IBM can do – and IBM makes the use of cloud more attractive in financial terms to them – I do expect we will see a slow, steady move among its traditional big customers to a hybrid private/public cloud environment,” said Longbottom. In other words, the elephant might not be first on the dance floor, but when it comes to the slow dance it could still work its old charm.